The article describes how to build a Quality culture in the organisation. Building a quality culture is not an easy task. Developing a focus on quality seems very easy but it really is not a straightforward thing to achieve. Organisations spend years of efforts and budget to achieve the goal. What is needed is to focus attention on various aspects as described below. There has to be some beginning. As usual with any improvements, it starts with gap analysis. Where is the organisation now? What does it wants to achieve? Though the organisation may be very small, there will be some good points, which should be kept as-is or enhanced further. After finding the gaps, lay down a plan to conquer the gaps. You will need to develop organisation wide quality standards. To do this it will be required to study what suits the organisation and then apply the right balance. The model you select should match the company’s vision and corporate policy. There are many international models available e.g. ISO, CMM, CMMI, Six Sigma etc. Commitment from Senior Management is a “MUST”. In fact, it is the driving force. Many a time it is observed that, either the senior management allocates the budget for such activities and forget about it or the senior management behaves in an autocratic way. Neither results in successful implementation of Quality processes. Procedures, tools, and database are all useless if the senior management do not want to see a Quality culture in the organisation. It is going to fail if management only wants to run behind getting certified to so and so quality standard. Even if the certification is achieved, there is no guarantee that, it will be practiced. The employees of the organisation will not care, if the senior management themselves do not show the attitude to follow the right path. Capability refers to having the skills to undertake work successfully. Maturity refers to the corporate understanding of why quality is important, and the provision of support for quality initiatives. As is true with any successful implementation, you need the right team blend and capable people in the team, to execute these things. Capabilities are needed in terms of skill sets and maturity. Skills without maturity cannot sustain the hurdles. People in the Quality groups are required to be highly mature and capable in terms of understanding Quality. Then only they can lay down the plan, execute the plan, and others will follow the plan. There will be a need to raise the basic knowledge, understanding, and maturity for each and every member of the organisation. For this purpose, organisation wide training should be arranged. The experienced trainer should impart training that will convince staff they need to support quality initiatives. Effectiveness of training can be measured by mock interviews, quiz etc. This will ensure that, people in the organisation are on the same page when they are dealing with Quality. However hard you try to bring change to the organisation, it will turn to failure if people are not motivated. Not all people are self-motivated. In fact, there would be very few, who are self motivated. Senior Management and the Quality groups need to provide a sufficient amount of motivation to push things. Budget cannot be a constraint for motivation. However, a certain amount of enforcement is also required to push the changes in the system. There should be a right mix of both. I was thinking of giving some other simple title for this section. This word however, is exactly right to explain how the Quality culture must be built. Training, group discussions, sharing of knowledge are essential to bring the change. Also motivation, exchange of ideas, and quality awareness forums are critical to institutionalise the change. If the importance of the change is understood at the lowest level, then success will be achieved. Many a time, knowledge flows horizontally whereas it is preferable to have the knowledge flow from top to bottom i.e. vertically. The above diagram explains the flow of culture, awareness, knowledge, and maturity to institutionalise quality in the organisation. The quality assurance group should keep a check on every other group including the Quality and Senior Management Teams. As they come out with their findings, they need to share them with all other groups. This will help to bring out the Best Practices across the Groups/Teams. One of the right ways for Quality Group to spread knowledge is to create focus groups / teams to carry out the activities related to Quality. This will help in building the quality culture. Also people working in these groups will feel the involvement and will be able to contribute to the quality efforts at the organisation level. According to the author, below can be types of the focus groups / teams which can exist under the Quality system. The functions of these teams are self-explained by their names. However the responsibilities should be assigned without any ambiguity. The focus teams and the Quality groups should meet regularly to track and co-ordinate their progress. Automated tools can help ease the burden of implementing quality processes and standards. The organisation that institutionalises the tools used for either quality or any phase of the development life cycle benefits greatly through the innovation and consistency in delivering the solution. The organisation will build capabilities and maturity and bring out the benefits of these capabilities and maturity to grow further. 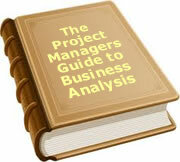 This will also adopt a very easy way to help manage projects with a standard set of procedures, guidelines and tools. Once this is achieved, continuous improvements will be a part of process. Companies can focus on many other areas and the management can rest assured regarding the quality of their work products. Management’s commitment and motivation are key to success for any quality initiative. Focus groups / teams, automated tools can act as catalysts in this kind of endeavour. The author is currently working as a Service Delivery Manager and SEPG (Software Engineering Process Group) Head in a company known as, Case Consulting Group in Mumbai. He has also lead teams to achieve the set goals and has experience in both, software and core industries. Sandeep has dealt with establishing quality processes and culture within projects and in organisations. He has brought out many improvements while dealing with quality analysis and application. To date, 124 people have rated this article. The average rating is 3.69 - Add your rating. Just select a rating and click the button. No other information required.